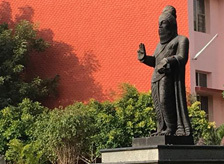 The Thiruvalluvar University was established in October 2002 under the Thiruvalluvar University Act, 2002 (Government of Tamilnadu Act 32/2002) as an affiliating University. 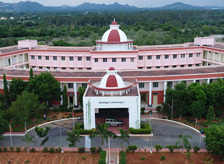 It is a member of the association of Indian Universities (A.I.U). 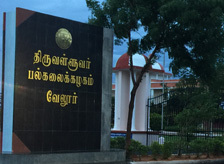 The University is located in a sprawling campus of about 112.68 acres, at Serkadu near Vallimalai about 16kms away from Vellore city on the Ranipet, Chithoor Trunk Road. It also has a campus at Vellore Fort.